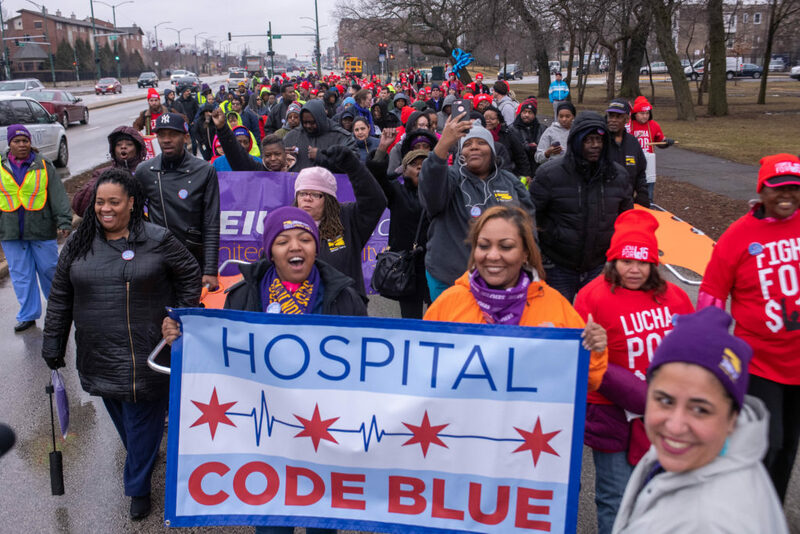 CHICAGO—Shortly before noon today, hundreds of hospital workers from facilities across Greater Chicago took to the street, marching through Douglas Park to highlight the crisis of misplaced priorities within the hospital industry. 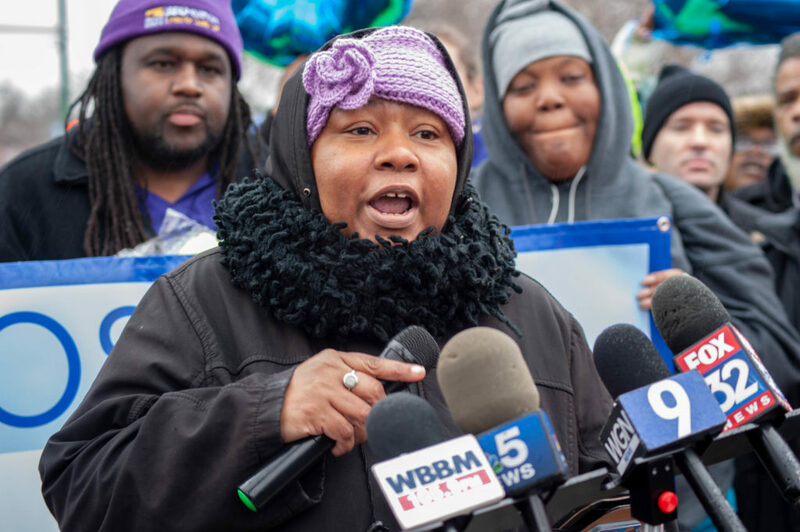 “We’re calling a code blue because the misplaced priorities of the hospital industry are hurting us all,” said Northwestern Memorial Hospital worker Kim Smith, kicking off a press conference as the march ended across the street from Mt. Sinai Hospital. 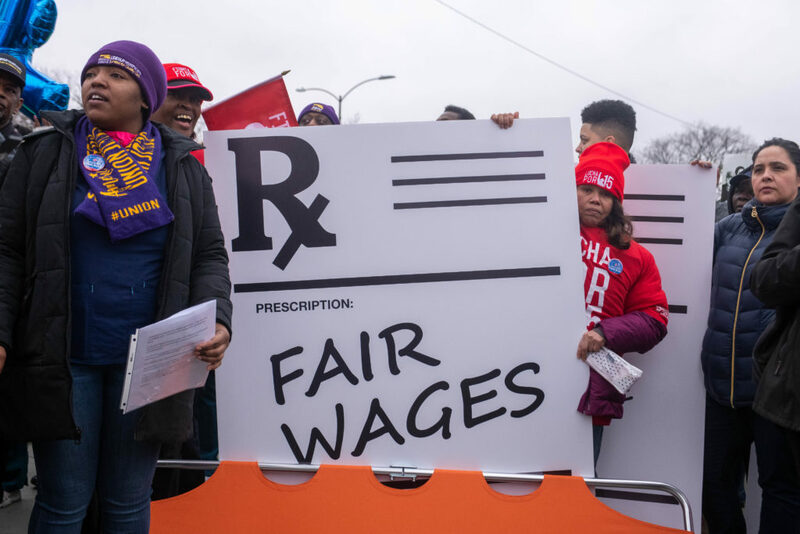 Workers, elected leaders and community supporters detailed the crisis with the hospital industry, sharing stories about the impact of unfair wages, lack of affordable healthcare coverage, short staffing, and lack of investment in black and brown communities. 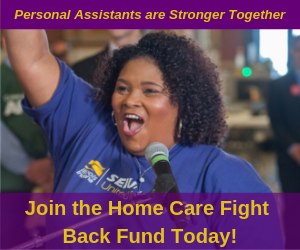 “No matter how hard I work, I still can’t afford my rent, my medications, food or utilities,” said Tonya Carter, who works in admitting at Mt. Sinai. 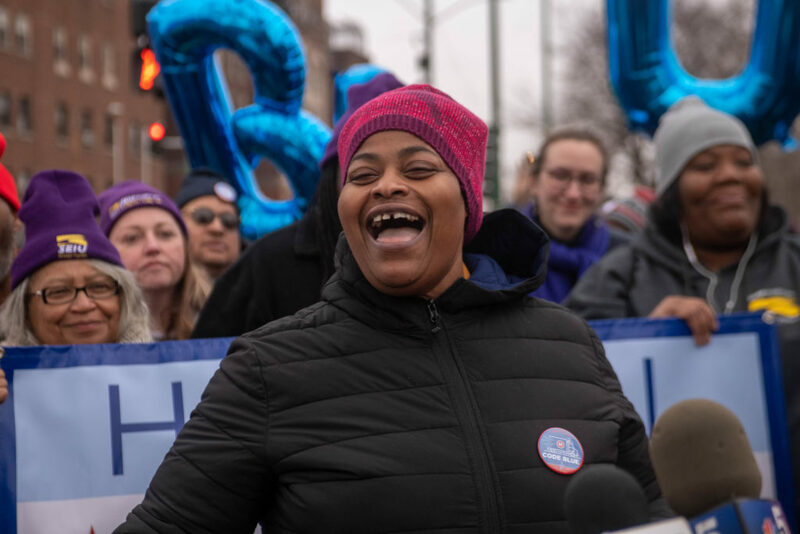 After 13 years at the hospital, Carter makes only $13.53 an hour—and is in the process of moving herself, her daughter and her granddaughter out of their apartment and in with her sister this week because she can no longer afford the rent. Carter was joined by other workers and elected officials in calling for a stronger worker voice in the hospital industry. Speakers also called for meaningful investment black and brown communities. “The hospital industry can afford everything the workers are asking for today, every single thing they’re asking for today. 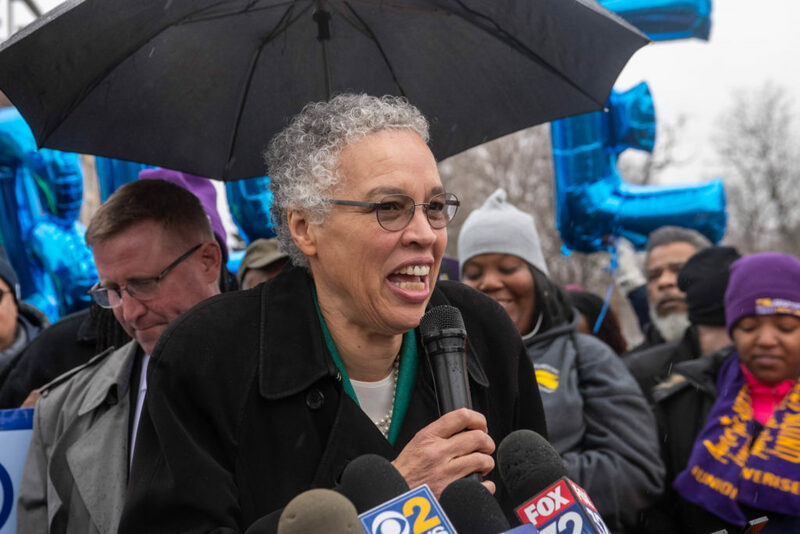 I know because they rake in billions of dollars in revenue each year and some of them operate like a corporation with all the money stashed in investments,” said Jeanette Taylor, candidate for alderman in the 20th ward.